One of the most stressful aspects of taking care of a disabled loved one involves what will happen to them, and how they will manage their affairs, when their caregivers are gone. This is most often a concern for parents of disabled children, who want to make sure their child is cared for when the parents are gone. Having money isn’t enough. There needs to be some consideration over who will manage the money, and who will use the money to buy things the disabled person needs or to make sure they are comfortable. Enter the Special Needs Trust (SNT). An SNT appoints a corporate trustee or other independent trustee to manage a trust for the benefit of the impaired individual. Of course, any time there are assets (even nominal ones) for someone who may be receiving government benefits, the disabled may risk losing those benefits. However, one of the best parts of an SNT is that it can be set up so as to not jeopardize the disabled’s government benefits. If the trust is set up to supplement government benefits, only being used when funds beyond the benefits are needed, the funds won’t affect the disabled’s rights to receive benefits. This is usually best where available funds aren’t enough to fully cover a disabled’s lifetime needs. The supplemental trust makes the money go farther, allowing it to be used after government benefits are used. It also makes an SNT a good vehicle for those who don’t have a lot of money, but want to make sure what they have goes to help the disabled individual. To get these benefits, the beneficiary must be disabled according to federal law, and the trust must be set up before the disabled reaches the age of 65 for certain types of SNTs. Money in an SNT isn’t just for medical expenses. It can be used to better the disabled’s quality of life. That can mean modification of a home, providing additional or relief in home care workers, payment for skilled nursing homes, or providing service animals. Funds can even be used for hobbies, education, vacations, or professional services like accountants or lawyers. Anybody’s funds can be used to set up the SNT. However, if it’s the disabled’s own funds, Medicaid will have to be paid back from any available funds in trust upon the disabled’s death, before any family members or beneficiaries can inherit. Trusts set up by other people’s moneys are not subject to this restriction. Make sure your loved one’s needs are accounted for. 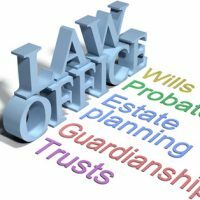 Contact Tampa business attorney David Toback to discuss a comprehensive will and estate plan for your family.